This past Christmas for one of my Gamma Phi events one of the sisters showed us all how to make wrap bracelets. It was so much fun and super easy ... another fun and customizable craft just what I don't need right? Well I gave the one I made that night to mom as part of her Christmas gift and she loved it so much we've made them twice now for different holidays and seasons. 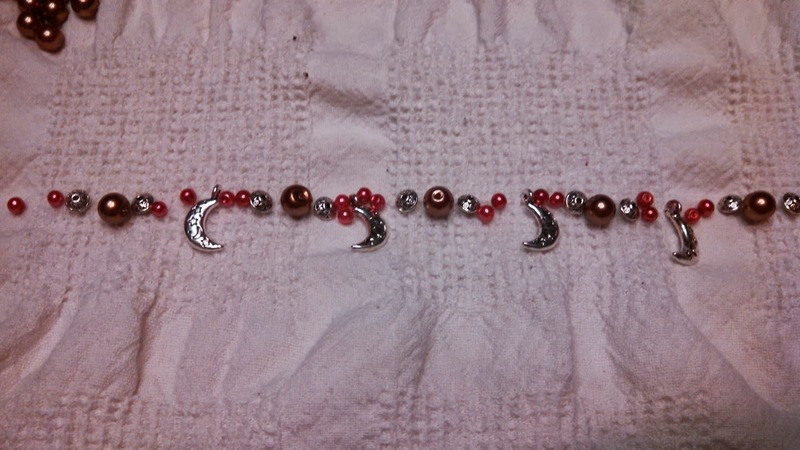 I found some fantastic crescent moon charms and thought it would be super fun to make a bracelet to wear this weekend while I'm in Seattle! 1. 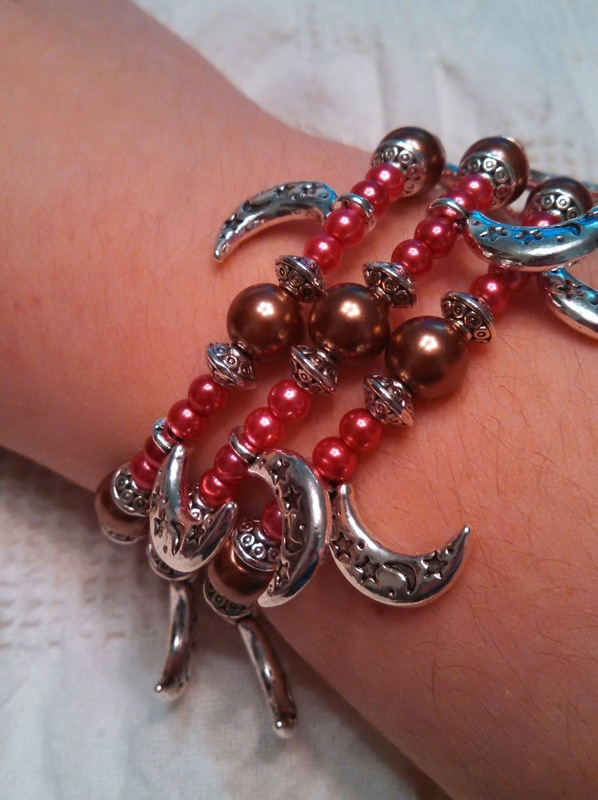 Decide what you want your bracelet to look like and purchase the beads and charms that relate to that design. 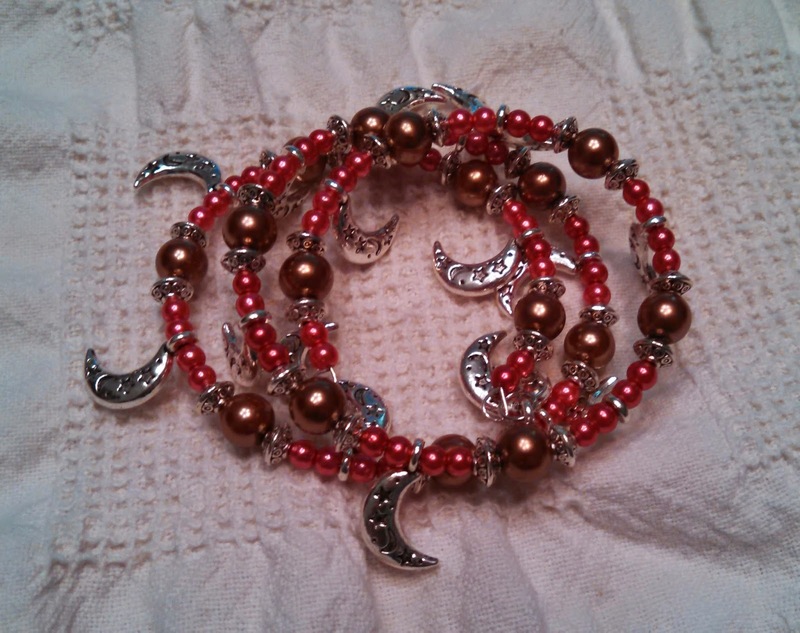 For this bracelet I wanted it to be Gamma Phi colors (Brown & Pink) and use crescent moon charms. 2. Spread your towel out on your little work area. This helps to keep all the beads from rolling about and will make it easier to lay out your design later. 3. 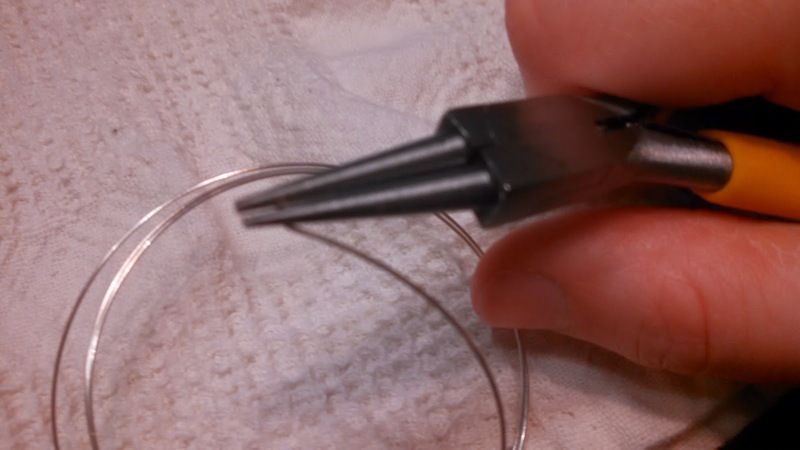 Cut the amount of wire you want to use for your bracelet. 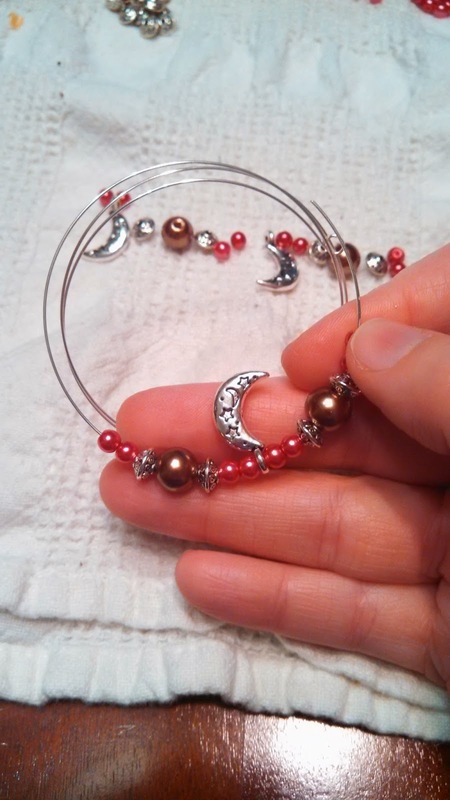 I cut a little over four loops for this bracelet. 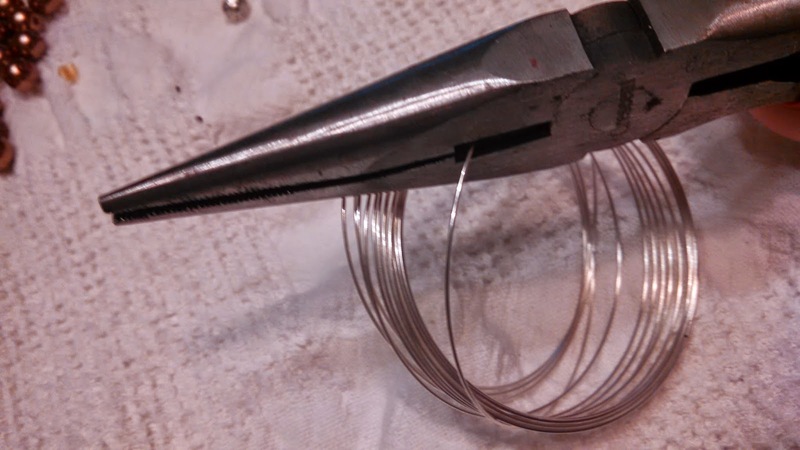 Make a loop on one end using the round nose pliers. Bend the loop in the opposite way of the curve of the wire. 4. 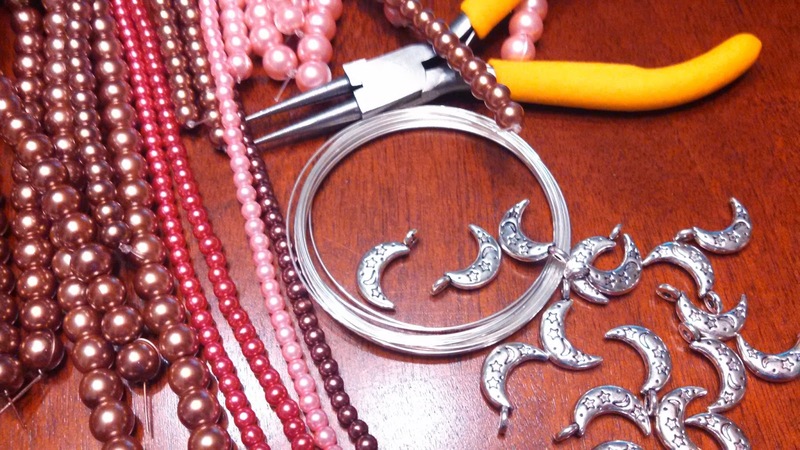 Start to figure out the exact design you want for your bracelet. I'm a very symmetrical person so all of the designs I've done so far show that but it's your bracelet so go nuts!! 5. Put your beads on the wire. Helpful tip ... no need to push each one allllll the way down the wire one by one, get a good amount on then push that big group down. Makes things go much much faster. 6. Continue this until you've strung the entire wire to your desired length. Leave about a quarter inch of wire blank or if you decide on a shorter bracelet cut off the excess still leaving that quarter inch. 7. Close the end with a loop like the first one. 8. 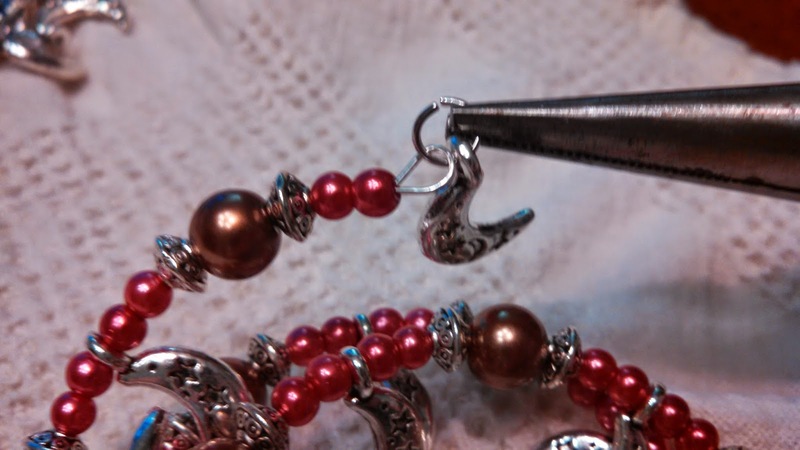 Open up one of the jump rings with the needle nose pliers and add the charm. 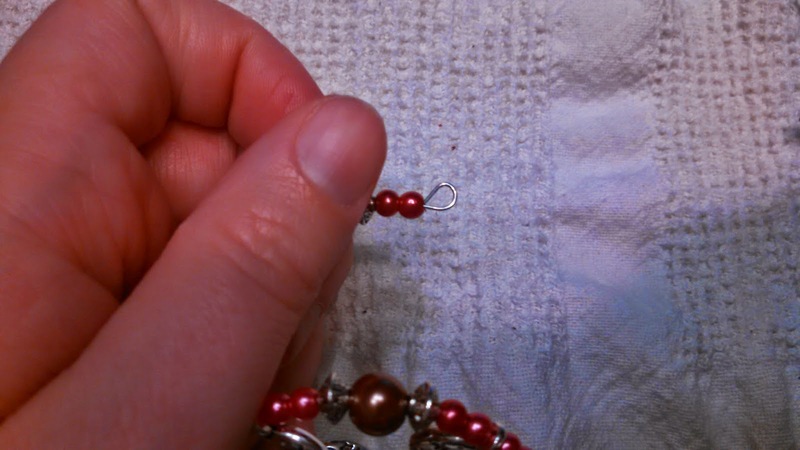 Thread a jump ring and charm through each end of the bracelet. Close the jump ring so it won't pull of. 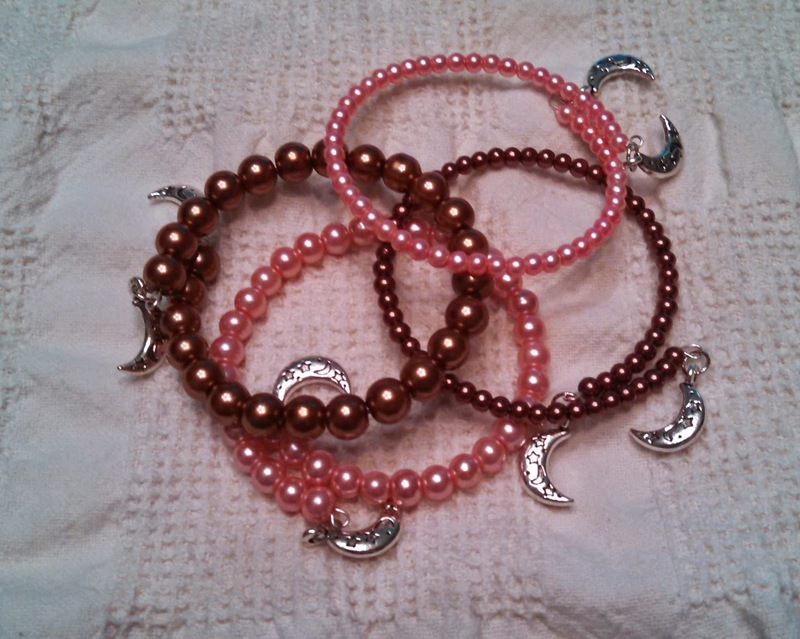 I also decided to make single strand bracelets with the charms on each end that I could stack or wear by themselves this weekend. You can really do anything you want with this basic bracelet. awesome job girl and so talented.